To find upcoming workshops, please visit the CUPE’s union education page at https://cupe.ca/union-education and search for listed workshops in New Brunswick. Registration will be possible through the workshop description links on that page. 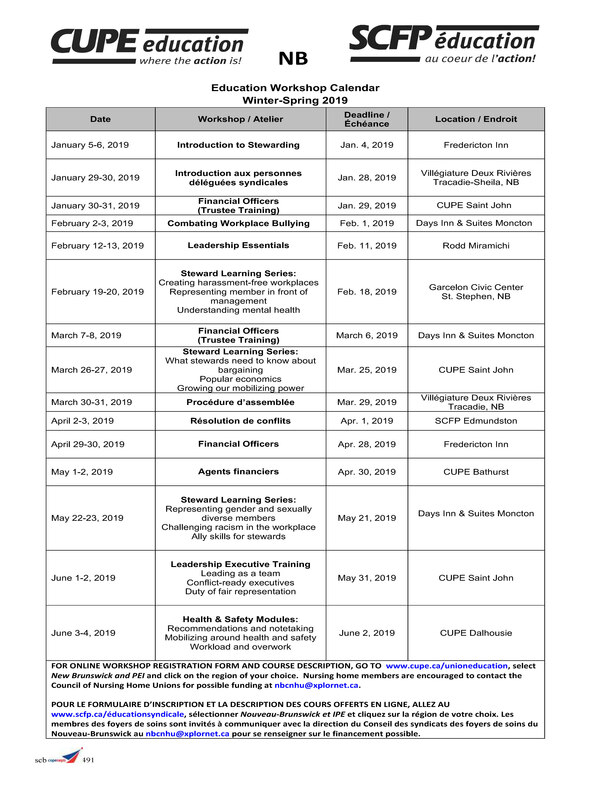 Members, shop stewards, and elected executives: we ask that you post the 2019_NB_Workshop_Calendar in your workplace and share amongst CUPE members. The best way to get your co-workers engaged is through education! For winter workshops, please read our Snow Storm Policy.